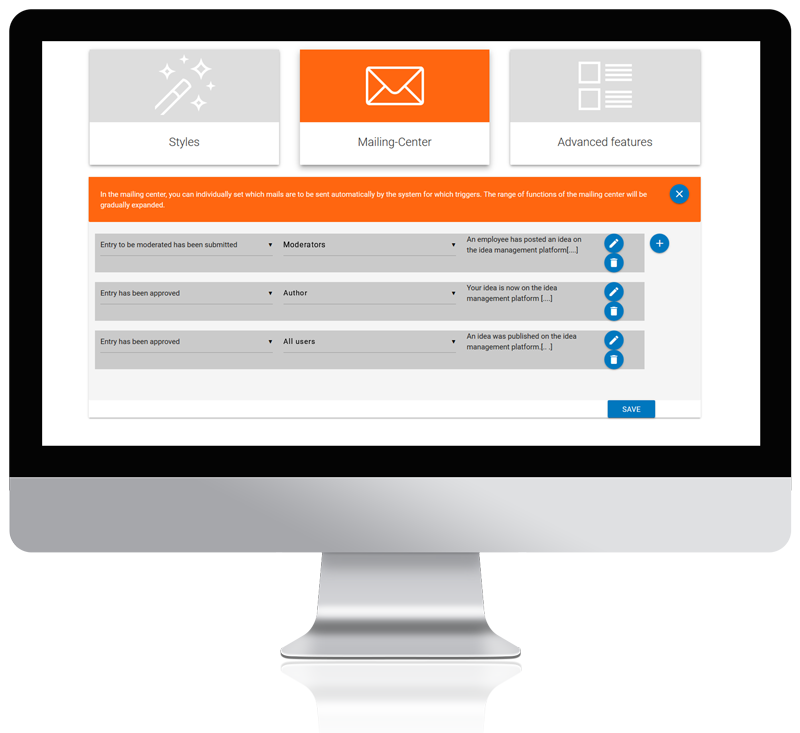 With the latest update, the Innolytics® idea management software and innovation management software gains a number of new functions to manage idea and innovation campaigns even more efficiently and to increase participation. Additional functions have been implemented to further strengthen the use of the software for a wide variety of application areas and innovation methods. The new functions of the idea management software and the innovation management software are presented in this article. Innovation processes and idea competitions in companies differ in one important point: While ideas in the innovation and idea management process reach different levels at different times, they usually reach these levels simultaneously in idea competitions and innovation challenges. For example, out of one hundred ideas submitted, twenty have reached the status “Submitted” in the innovation process, another twenty have been assigned the status “In Review” and others have reached the status “In Implementation”. This means that each idea submitted is individually assigned a status by an idea of innovation manager in the software. and evaluated in the third week. 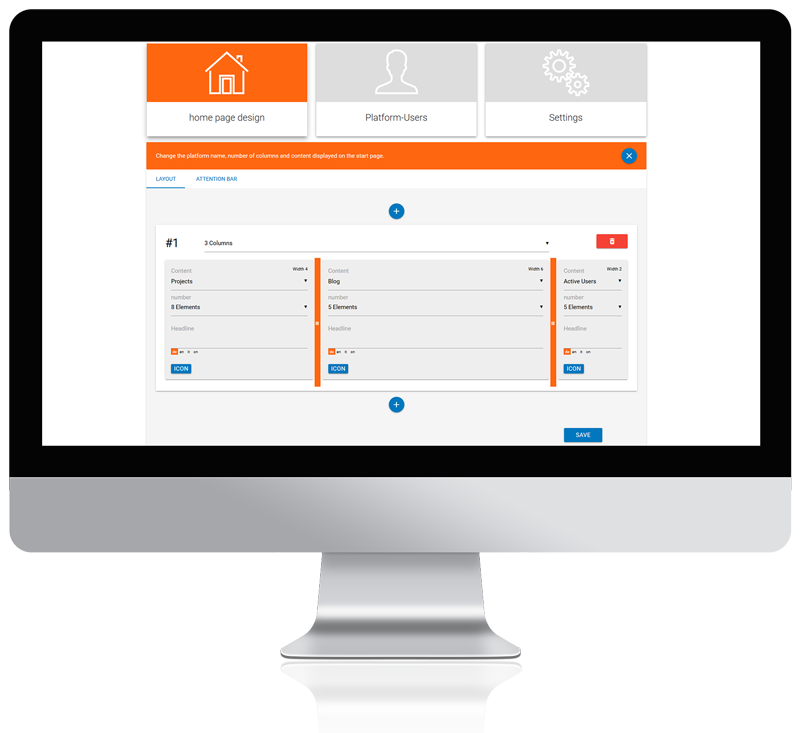 The newly developed campaign manager now makes it possible to better manage these different phases: before an idea or innovation campaign starts, different phases can be defined in the idea management software or in the innovation management software. You can define which phase starts on which day at which time. Different images, texts and functions can be defined for each phase. Application phase: Users can apply to participate in a project. Idea phase: Ideas can be submitted.. The comment function as well as following and like can be disabled. 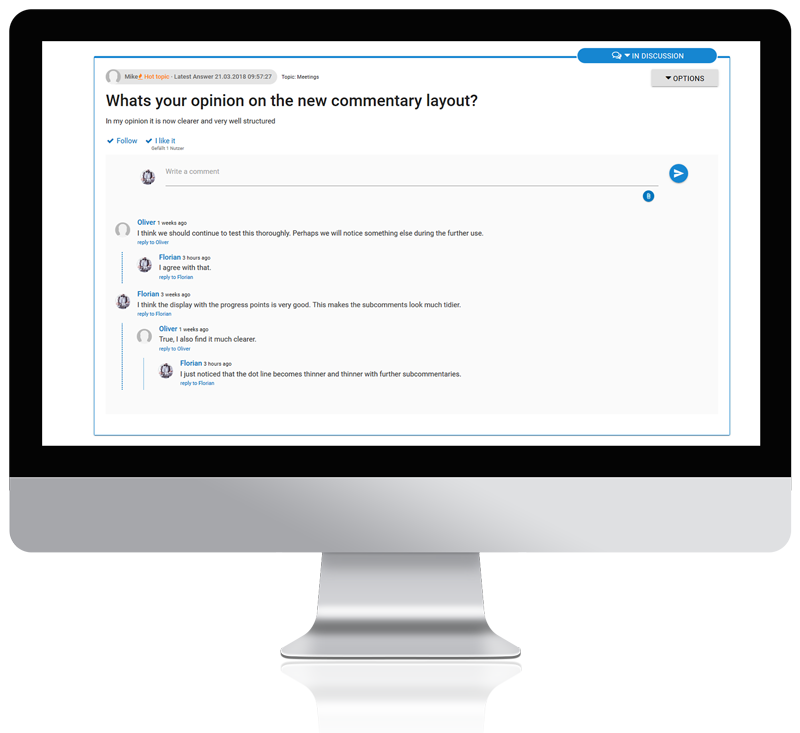 Discussion phase: Users can now react to the ideas of others and comment on them. Voting phase: All submitted ideas can now be evaluated. A distinction can be made between a user voting and a jury voting. 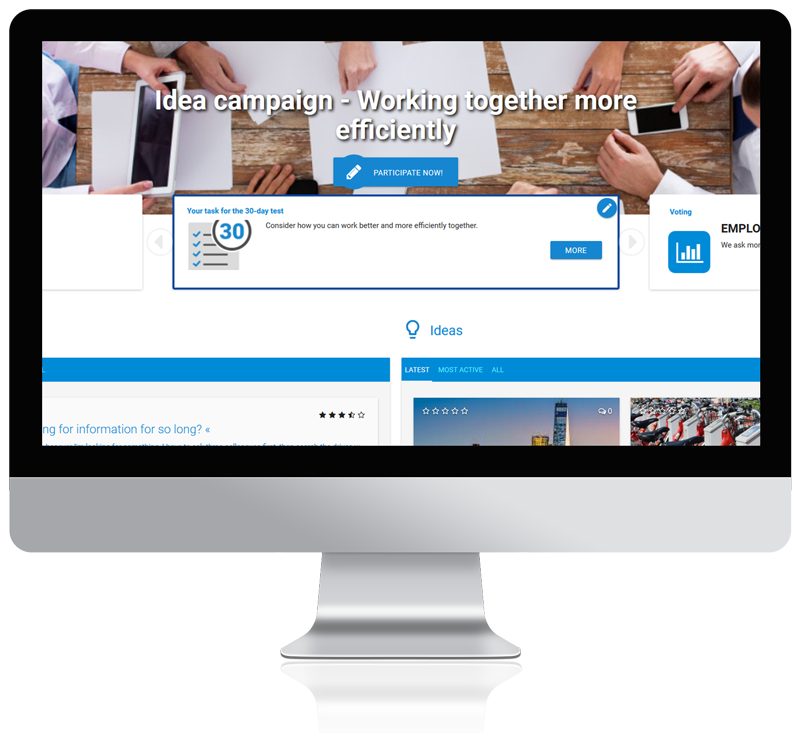 The newly developed campaign manager makes the implementation of idea and innovation campaigns as well as business plan challenges easy and manageable. 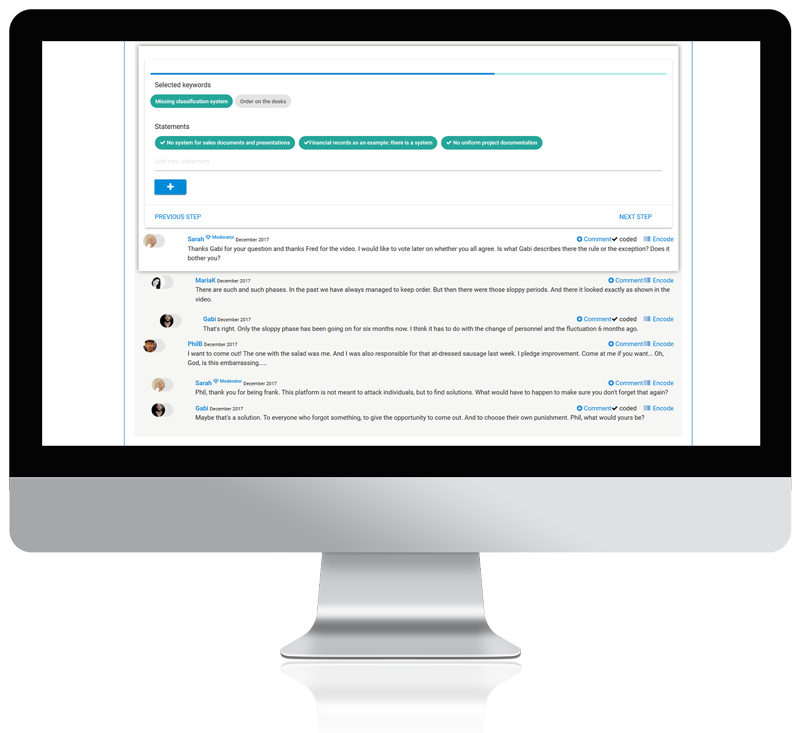 The new mailing center makes it possible for moderators, idea managers and innovation managers to define automated emails to participants and to send them automatically at certain events. For example, if a moderator has a post that needs to be approved you can automatically send an e-mail with the text “Please moderate this post”. If a new idea that had to be approved by a moderator is published, the author also automatically receives an e-mail. In the mailing center, different triggers (idea author has not reacted to comments, idea or contribution has not been activated for two days, etc.) can be defined. Moderators can write notification texts adapted to the platform or campaign, which are sent automatically. The mailing center automates manual processes in idea and innovation management as well as in campaign management. On the one hand, it helps to keep the commitment of participants high and, on the other hand, it facilitates the work of ideas and innovation managers. A category can be assigned to each topic of a discussion. For example, if the main topic is “bureaucracy”, the sub-category may be “simplification of forms”. In addition, the moderator can create a summary of the contribution in a few words. 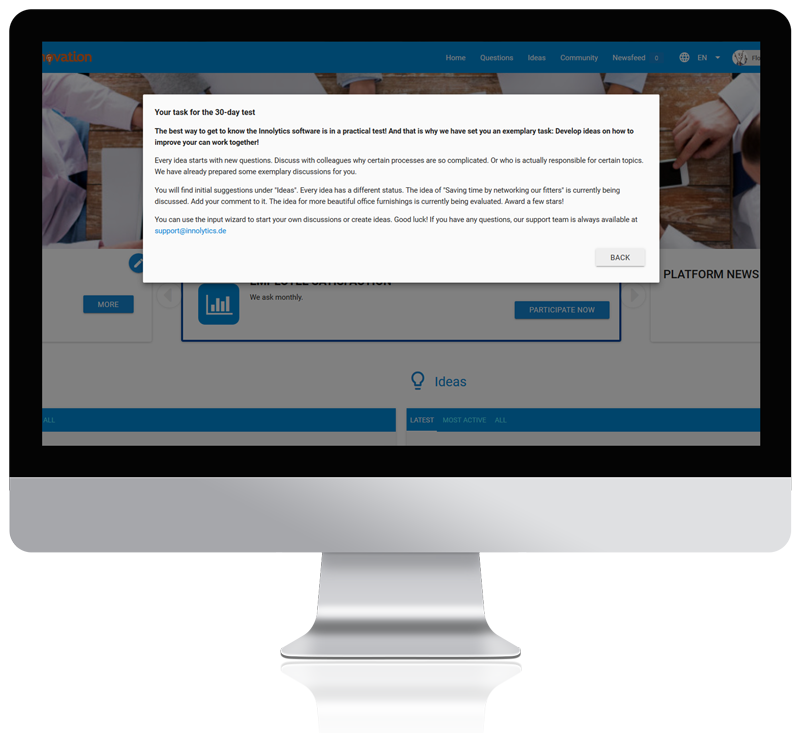 In the overview, all keyworded posts and comments can be displayed clearly. This makes it possible to prepare management summaries that provide answers to the question: “What were the most important and most frequently discussed topics?” The categorization wizard makes it easy to create meaningful summaries of discussions. The Innolytics® idea management and innovation management encourages supports the discussion of questions and ideas in different phases: If an author publishes a new contribution (discussion contribution, question, idea), other users are explicitly asked to comment on this contribution and to support the author in developing his oder her thoughts. The more comments and sub-comments have been received, the more important it is to present the discussion in a structured and comprehensible manner. For this purpose, the display of comments and sub-commentaries is fundamentally redesigned in the March update. 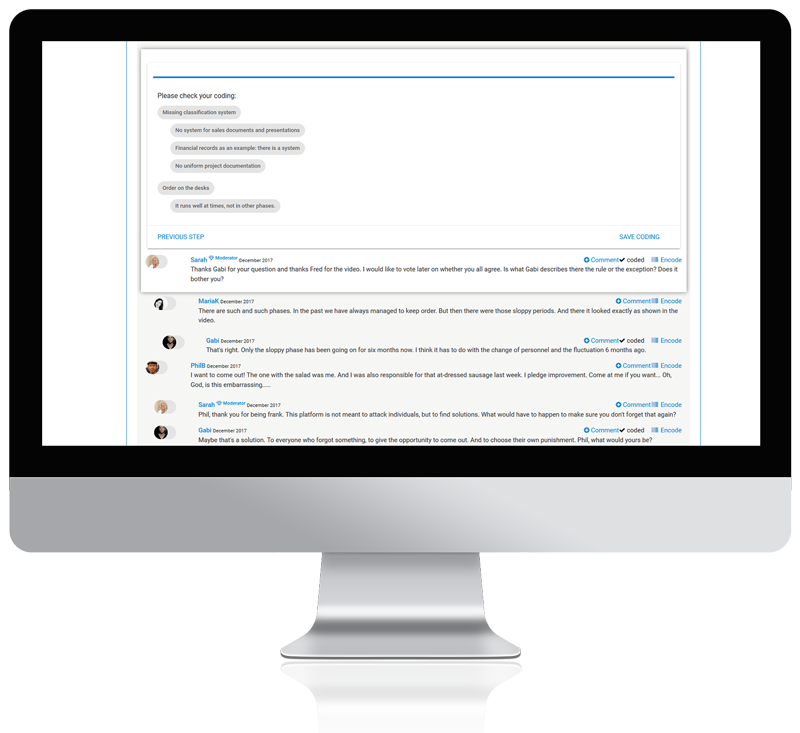 The tree structure makes it even easier for users to understand how comments and sub-comments are related. The software summarizes comments and subcomments according to a changed logic so that an overview is maintained even in heavily discussed contributions. 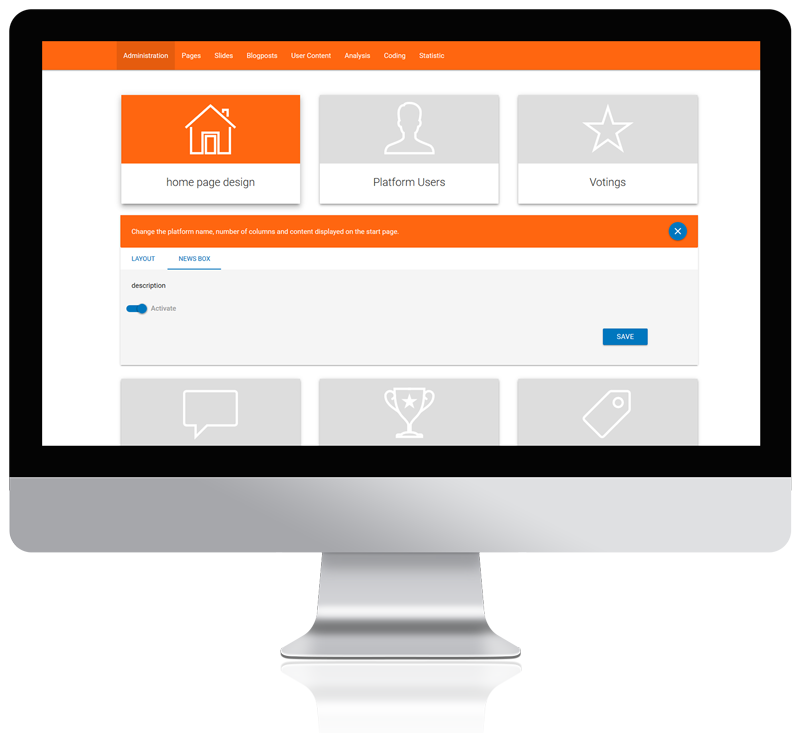 In the previous version of the Innolytics® Idea and Innovation Management Software, it was already possible to configure landing pages of platforms as well as the view of ideas and contributions with a high degree of flexibility. With the latest update, this flexibility becomes even higher. 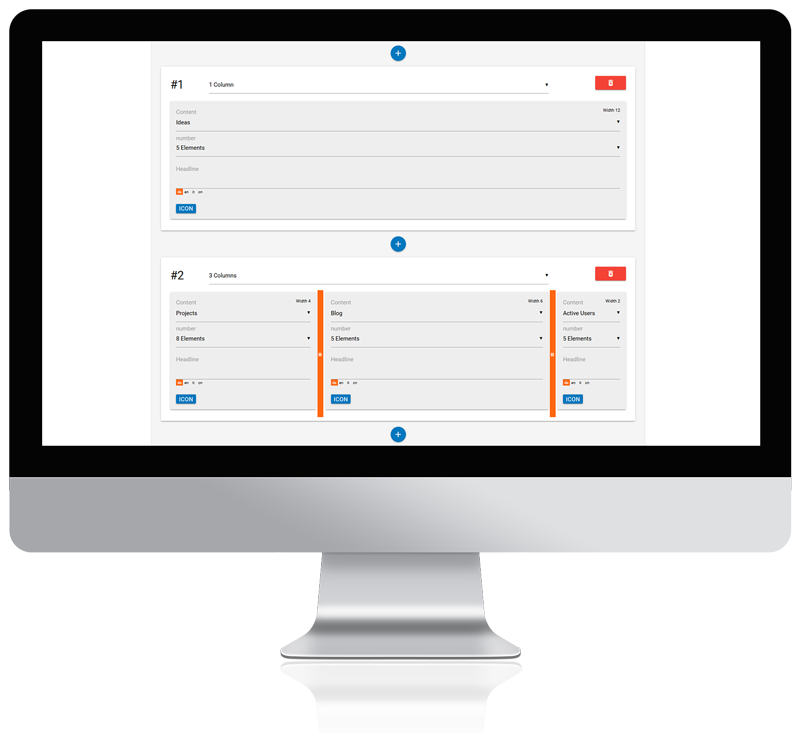 Moderators can define different columns and rows as well as the display of different types of content. For example, to show only ideas on a page. Or questions can be displayed in the left column and ideas in the right column. However, it is also possible to place a sliding content carousel or a text block above it. The redesign of the pages helps to make campaigns and platforms even more lively. Moderators can react quickly to different events. The newsbox offers lots of possibilities for quick announcements. 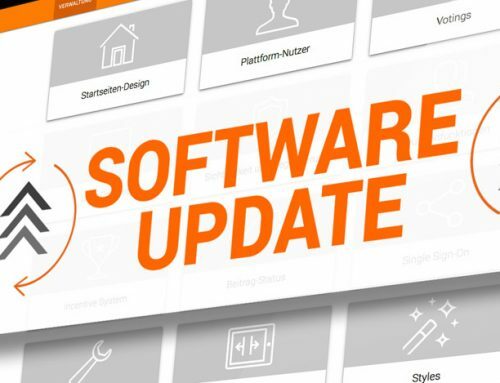 With the new update, the Innolytics® idea management and innovation management software has become even more flexible. The system not only supports traditional idea management and innovation management processes but also enables lively, smart campaigns. The work of idea and innovation managers becomes even easier. Further functions will also be implemented in the next updates that focus on the commitment of users and the simple administration of ideas and concepts.